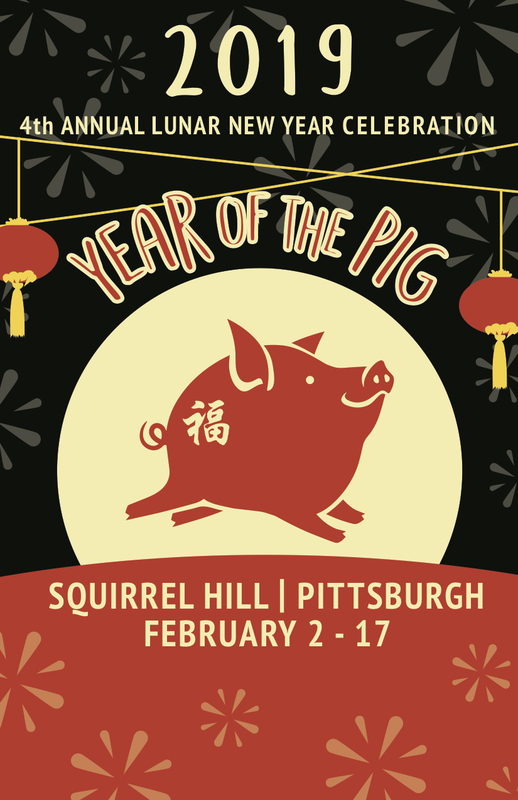 Join us for the 4th annual lunar new year parade in Squirrel Hill. Starting at Phillips, the parade will wend up Murray Avenue and end before Forbes. Murray Avenue will close at 10am and will reopen at 12pm. For more see our post on Lunar New Year of the Golden Pig!